Which of these former toronto blue jays deserves to have a statue in front of the skydome? I think deep down inside we all knew that such a poll was warranted. Should the results surprise you? Probably not. And with apologies to the mercurial Dave Stieb, the glorious George Bell, the criminally underappreciated Carlos Delgado, and my beloved childhood hero Tony Fernandez, these four men are all uniquely worthy of bronzed immortality for fans of the Toronto Blue Jays. 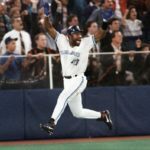 Joe Carter (37%): As the owner of the defining indelible moment in franchise history, Carter came into this poll armed with the single most compelling reason to be coveted; an entire generation still remains transfixed by Tom Cheek’s iconic “Touch ’em all, Joe” overture as if it happened yesterday. Throw in the epic circumstances and heroic timing of a World Series winning home run, and that’s how you end up a Blue Jays legend forever. Although contrarians will point to his relatively short stint with the team alongside underwhelming splits (.257/.473/.781), they’re also likely to ignore his top 10 MVP finishes (three) and remarkable veteran presence that led this team to back-to-back championships. Roy Halladay (34%): It would be far too easy to turn Roy into a sentimental choice based on recent events, but I’d much rather focus exclusively on his status as the best pitcher in Major League Baseball for an entire decade (2002-2011). 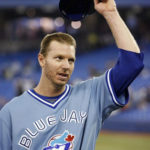 Eight All-Star game appearances, two Cy Young awards, a regular season perfect game versus the Marlins and a post-season no-hitter against the Reds in the SAME year (only pitcher ever in history) are just some of the obvious reasons for fans to appreciate what this player meant not just to the Blue Jays, but to the sport. He was truly the quintessence of class, character, and conviction; Halladay redefined what it meant to be a world class elite starter and is eternally remembered by loyalists as the only reason to watch the team during those lean years of front office indifference and empty hometown discount promises. 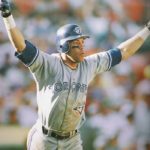 Roberto Alomar (21%): For many readers this argument begins and ends with this: Alomar is in Cooperstown and is wearing Blue Jays colours. Full stop. And you wouldn’t be wrong. 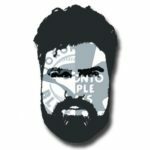 Sure, he was only in Toronto for a cup of coffee, but how does one not equate the renaissance of this franchise as a playoff contender without mentioning Roberto first? The catalyst to virtually every crucial post-season moment during the glory years (most notably that seminal Dennis Eckersley home run), I found it rather surprising that he failed to generate more votes considering his legendary two-way accomplishments as a bluebird (five seasons, five gold gloves, .307/.451/.833). 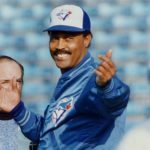 Cito Gaston (8%): As a hitting coach he transformed his young team into a potent arsenal of contact and power hitters (Fernandez, Bell, Garcia, Barfield, Upshaw, Mulliniks), but as manager he asserted himself to be that leader who could finally bring them all together. Two World Series rings punctuated by 96 and 95 win seasons, only to finish third and fourth respectively for manager of the year award voting? If it were up to me, his statue would have been constructed long ago and is likely being varnished, cleaned, and exalted in an alternate universe as you finish reading this article.